We’ve had many patients come to us wanting a smile makeover who have heard a lot about the Lumineers brand. Lumineers are heavily advertised as an ultra-thin veneer and have great name recognition. Because they are made of Cerinate porcelain, which is very strong, they can be made about 0.2mm thinner than some other brands. Dr. Mavrostomos prefers other brands of porcelain veneers because he feels they are more beautiful, but he can place Lumineers if that is in the best interest of his patient. A common complaint among cosmetic dentists regarding Lumineers is the lab where they are made. Because of trademark restrictions, they only allow them to be made at the DenMat laboratory. They will not allow their use by other dental laboratories as other brands do. Many cosmetic dentists feel that this lab lacks artistry and tends to make the teeth look too bulky and opaque. 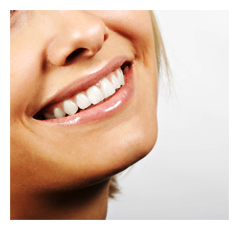 They are the only ultra-thin brand of veneers. 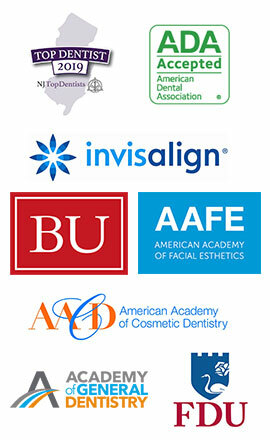 On the contrary, there are several other brands of thin veneers, including DURA-thin, Vivaneers, and other brands. They require no preparation for proper placement. While it is true that you can place Lumineers without preparing the tooth, many patients find that their teeth end up looking a little bulky and about 2mm longer. The preparation required for placing veneers is very minimal, and there is often no visible difference between a prepared and unprepared tooth. Any dentist can place Lumineers. It is true that any dentist can get certified to place Lumineers. All they have to do is pay a fee and attend a one- or two-day course put on by DenMat. But training in the artistry of smile makeovers requires much more extensive coursework than this, plus experience. No matter what brand you decide on, be assured that Dr. Mavrostomos will give you a gorgeous smile. His staff describes him as a perfectionist, so he won’t quit until he’s designed the smile of your dreams. You can click here to learn about his beautiful smile guarantee. If you’d like to see if you’re a candidate for porcelain veneers, you may call our office to request a complimentary consultation, or visit our request an appointment page. You’ll get about 10-15 minutes to sit down with Dr. Mavrostomos and ask him any questions you have, as well as review your case.